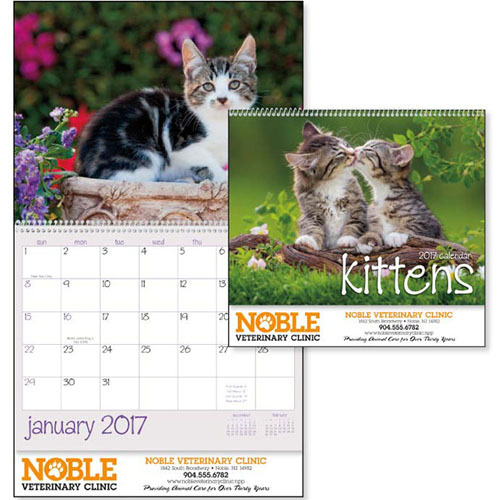 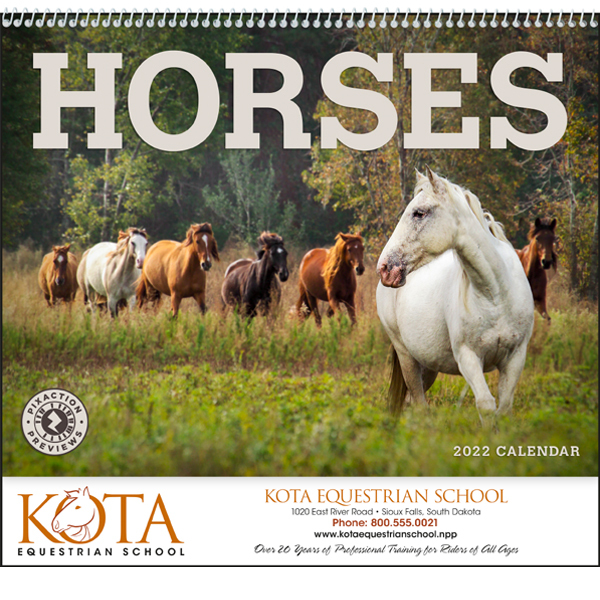 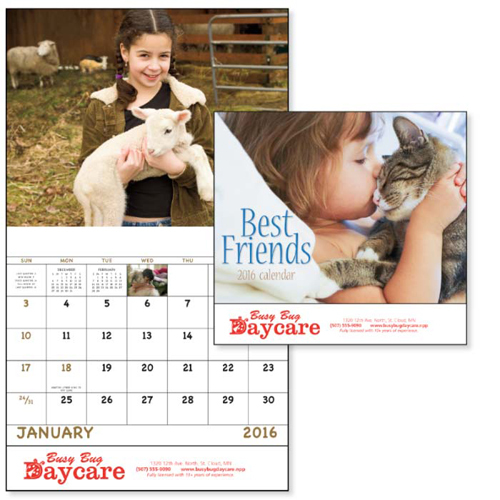 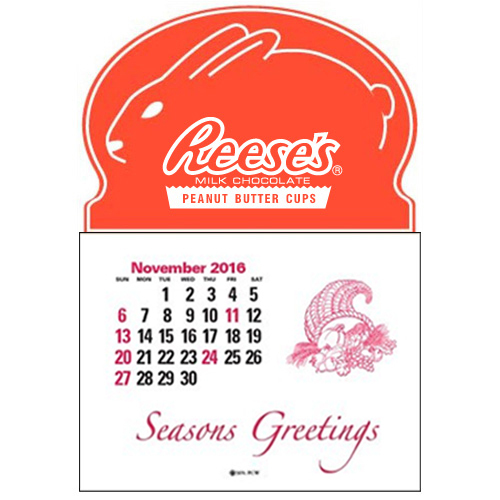 Pets and animals wall calendars; there is something for each and every animal lover on your list. 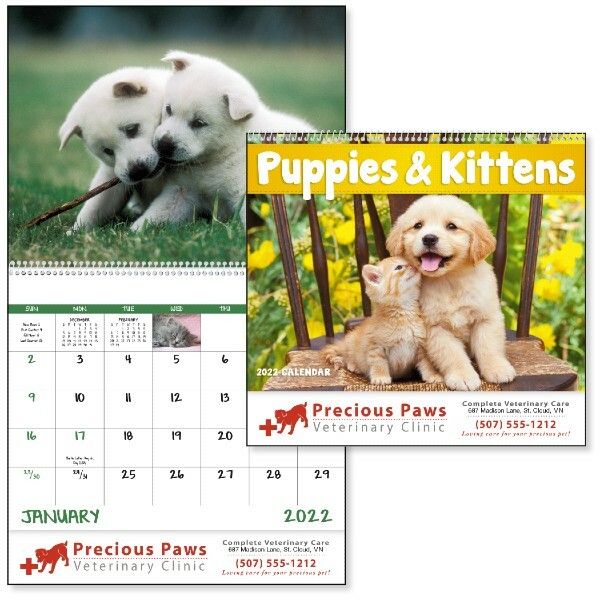 Fantastic pet calendars are great for those who can't get enough of the cute and cuddly pet photos. 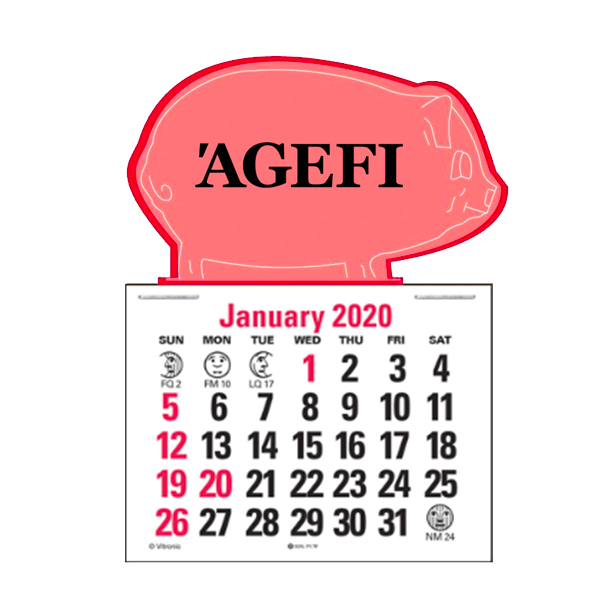 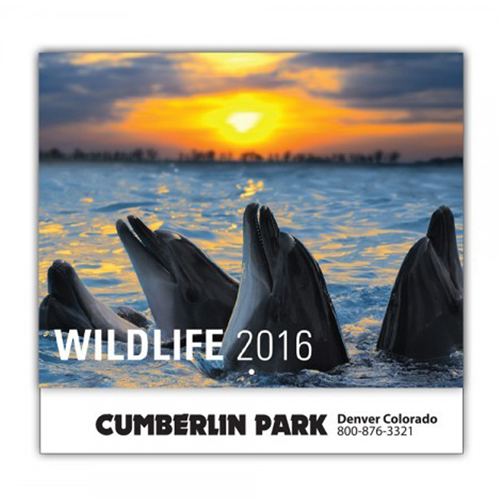 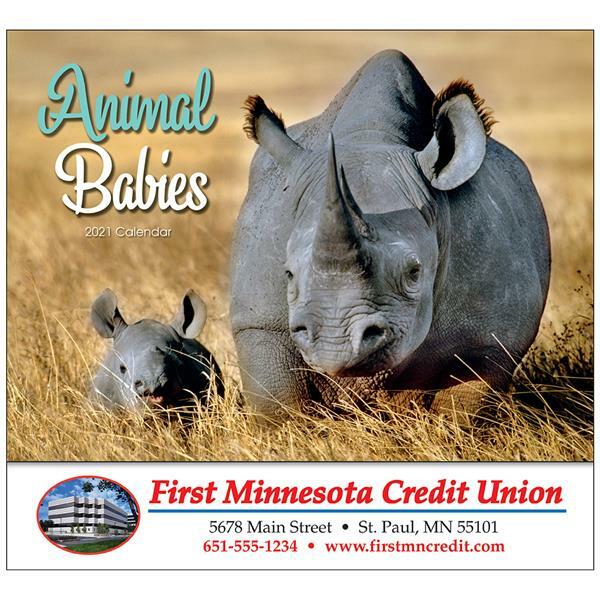 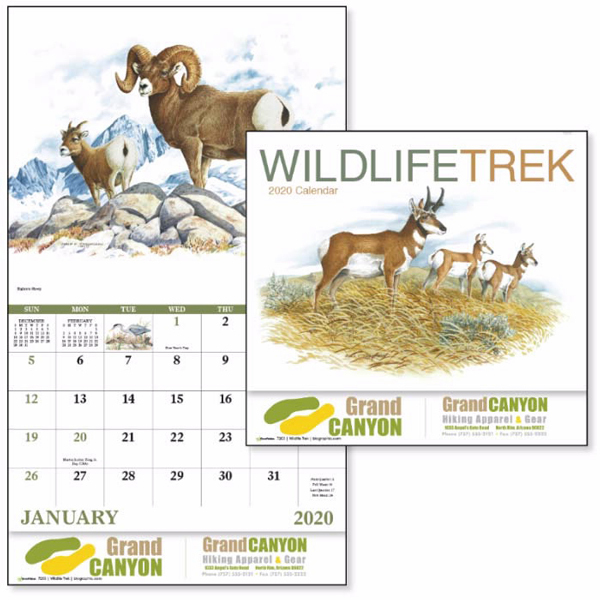 Animal lovers will rave over a promotional animal calendar. 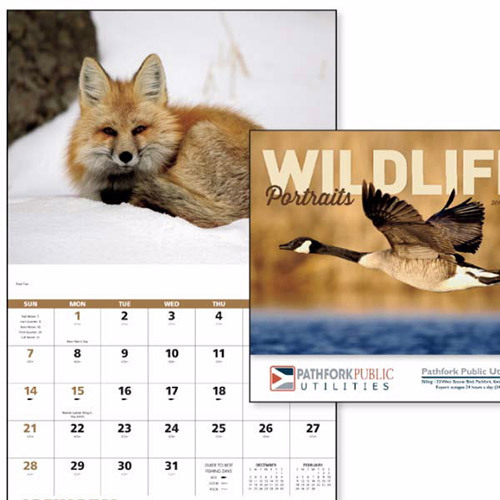 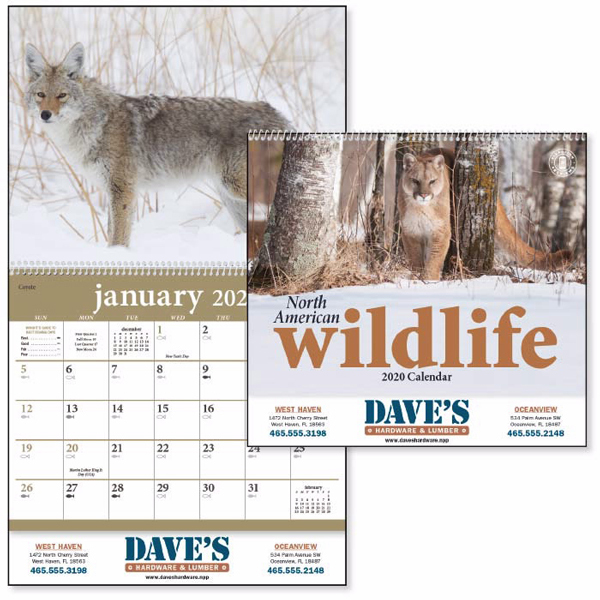 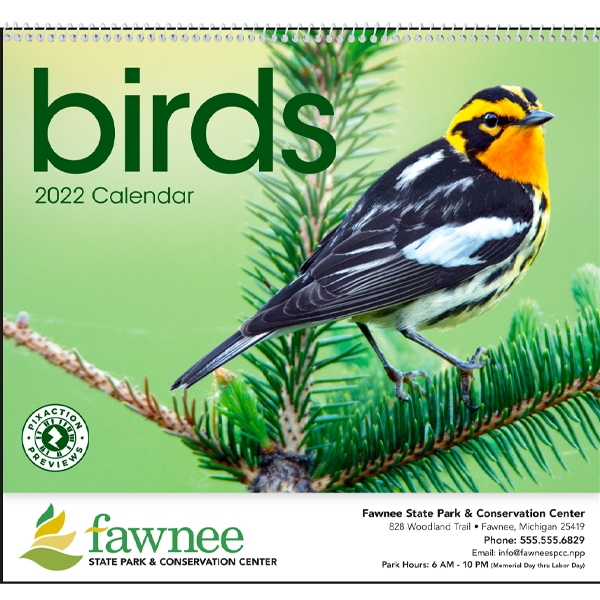 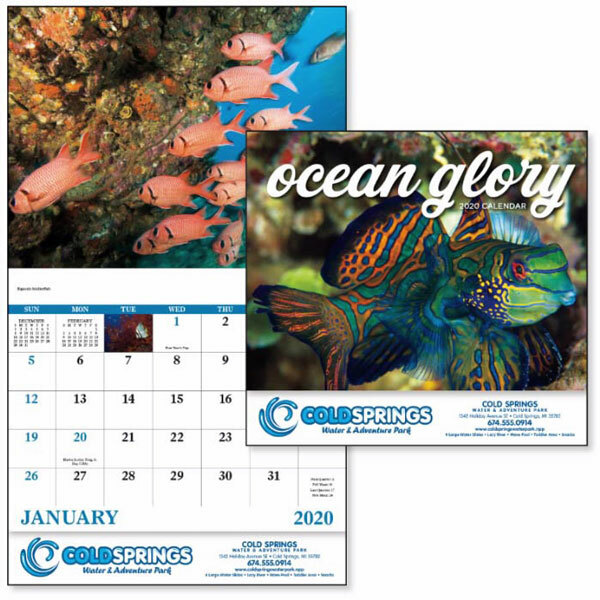 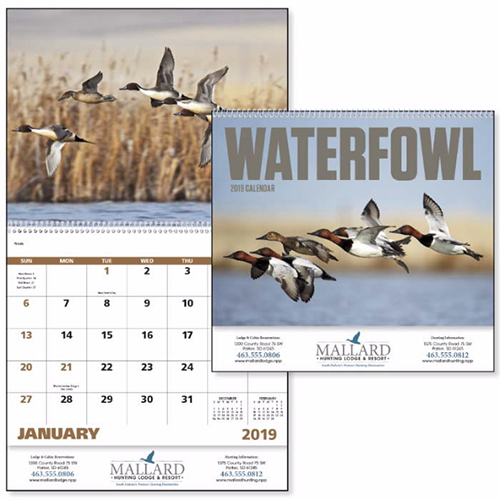 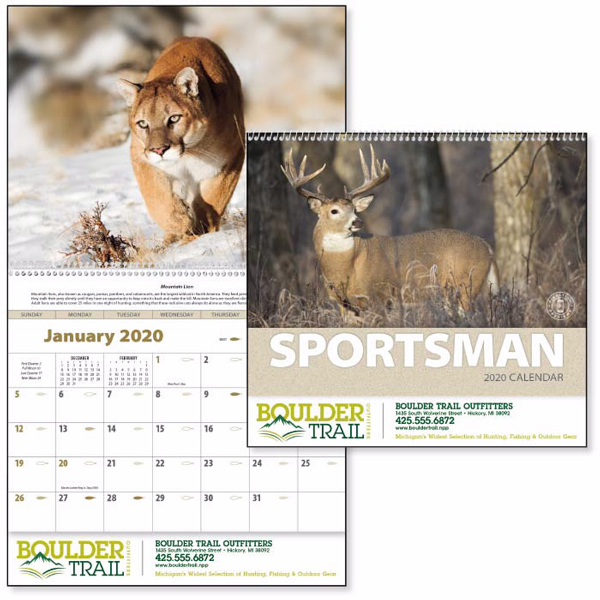 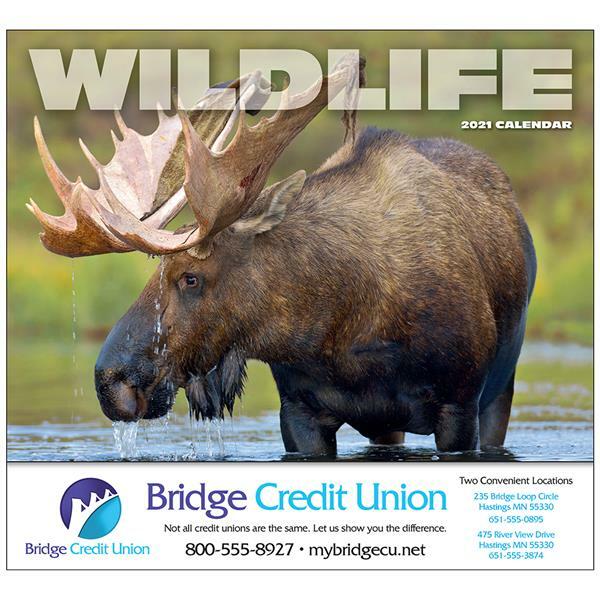 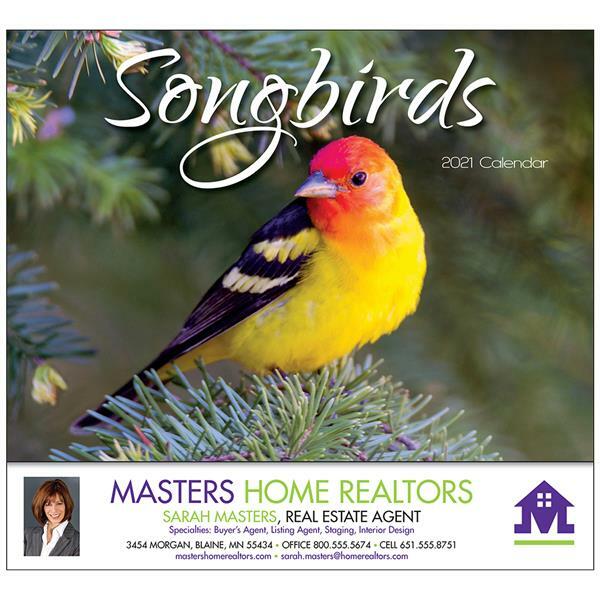 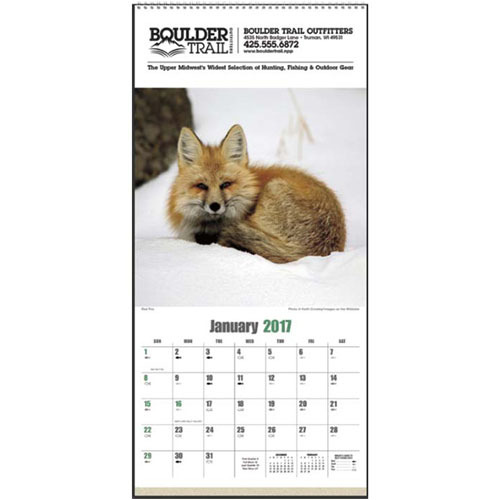 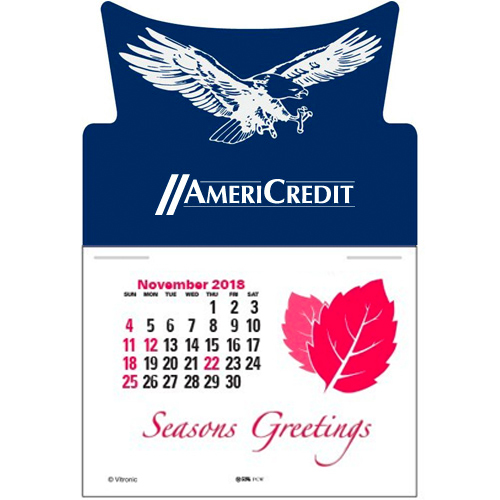 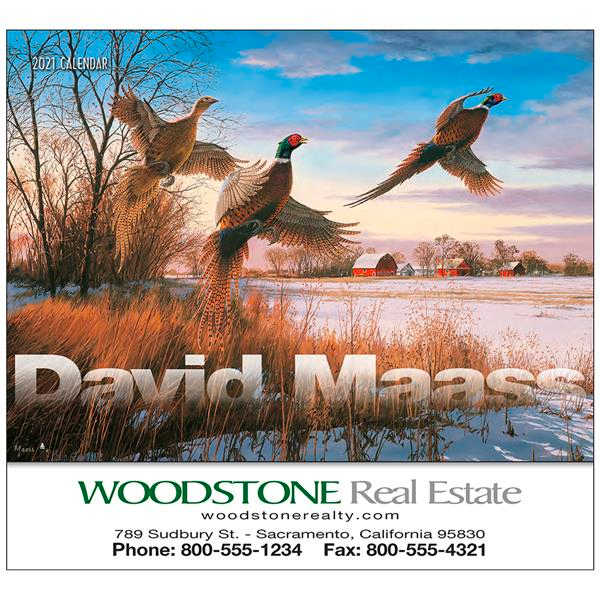 Wildlife wall calendars, puppies calendar, kitten calendars, bird calendar, and wild animal calendars are examples of the kinds of promotional calendars you can find here. 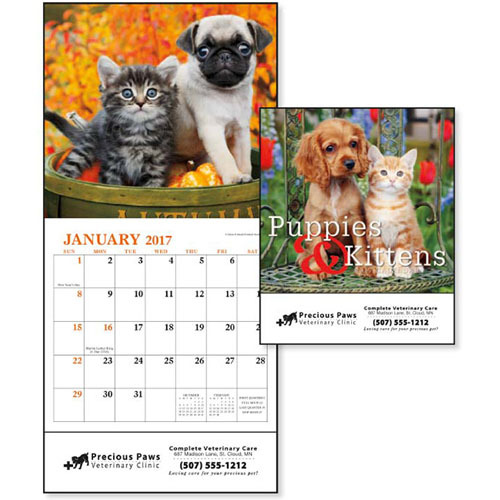 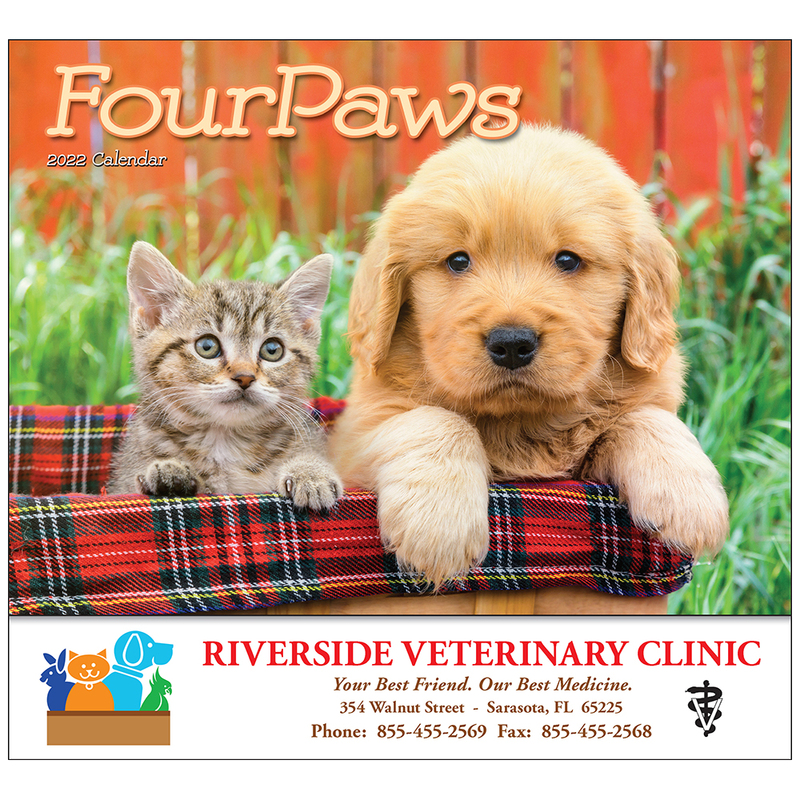 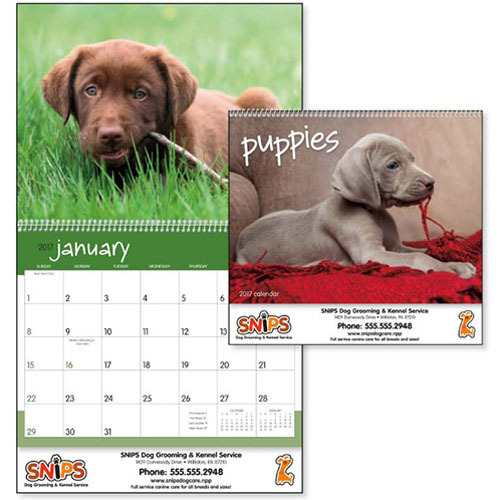 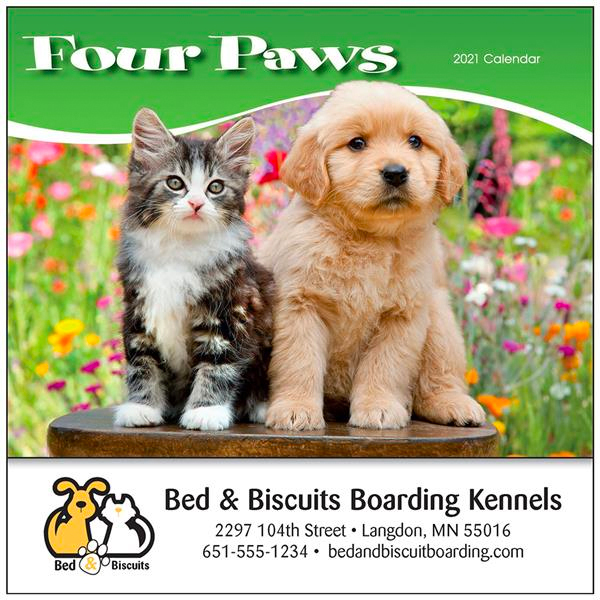 Pets are number and there is nothing like our adorable puppy calendars, dog and cats as best friends to advertise your brand name with your logo or message imprinted.